The history for Dental Implants started decades ago with the first Implant placed by Professor Branemark in the last century of the early 50s. From that time onwards Implants became more and more popular as root replacement in modern Dentistry. Different alloys were tested as the best Implant material such as Vitreous Carbon, but only Titanium was proven to be the only suitable alloy to be used as a Dental Implant. Titanium biocompatibility in combination with itsfavorable physical properties made it the best Implant material of choice. Zirconium- The better Implant Material? Years ago a new material pushed on the Implant market, before Dentists also used aframeworkmaterial for crown and bridgework, called Zirconium. Zirconium is mistakenly called a Ceramic, but it is chemically an alloy, just one row below Titanium in the periodic table. 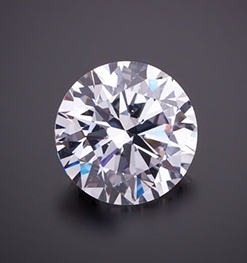 Zirconia gained its popularity from its Crystalline Cubic form due to its similarity to diamonds. In dentistry,it is used as Zirconium Oxide in combination with traces of other alloys such as Hafnium and Yttrium which function as stabilizers. This combination results in a product with superior physical properties in combination with a white appearance, with obvious similarities to Ceramics. It’s a very strong and hard material, wherein its major advantage is its biocompatibility is advantageous to any other material found in medical products. 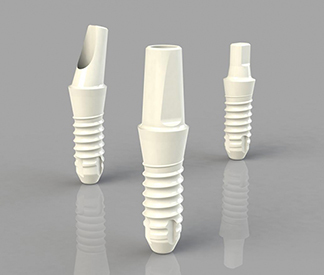 It was approved as a Dental Implant material in 2008 in Europe and 2013 in Canada because of the fact that Zirconia is able to be Osseo integrated similar to Titanium products. 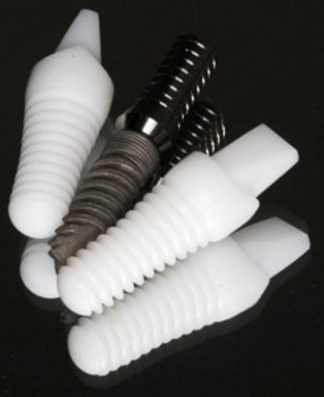 Titanium versus Zirconia- Which is the better Implant Material? Nowadays Zirconia grows out of most of its “Childhood Diseases” as the obligation of one piece construction, limited fracture resistances, limitation to soft tissue implants and others. In short terms when it comes to versatility, Zirconia is getting closer to Titanium alloys but cannot completely reach it yet. Nevertheless when it comes to strength, Titanium still has its nose ahead, especially when it comes to smaller Diameter Implants. A strong advantage of Zirconia is its unique biocompatibility, proven as the best Medical material above all. Also the whitish color of Zirconium Implant can be seen as favorable especially when it comes to gum or bone recession around the implant. The dark color of Titanium is a huge disadvantage, whereas the white look of its counterpart Zirconia is still acceptable to be shown by most patients. A further advantage for an Osseo integrated Implants is the Thermal Non-Conductivity of this material, wherein this property needs more skills from the performing Implantologist not to overheat the implant bed during implant insertion. Another advantage would be definitely the non-conductivity of this material when it comes to electric currents in the mouth. The biggest plus nevertheless of this implant material is its advantageous interaction between soft tissue and its non-adherence attitude to any kind of plaque which enhances its lifespan drastically.